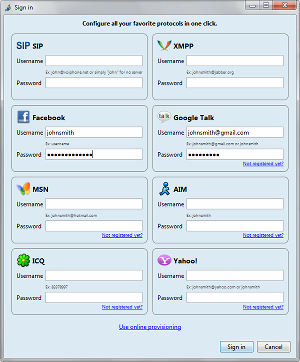 You can use Jitsi for encrypted chat with your usual accounts such as Gmail or Facebook. Only the intended recipients will be able to read your messages. Download the installer from https://jitsi.org/Main/Download. Open the file and launch installation by clicking “Run” and “Next”. 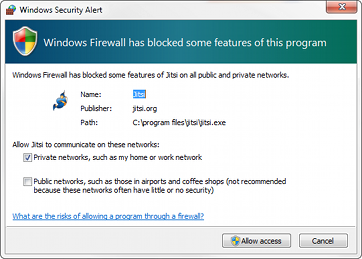 You may receive a firewall warning when the program first starts. If you click “cancel” or close the window you will still be able to use Jitsi to communicate over Google Chat, Facebook or Yahoo Messenger. 3. You can log in to several accounts at the same time; you only need to fill in the username and password fields for each. It is also possible to create a new account with the “Not registered yet” option. Click “Sign in” when you are finished. 4. Google doesn’t recognize Jitsi as a secure application. In this case, change your settings to allow access for less secure apps by going here: https://www.google.com/settings/security/lesssecureapps. You can revoke the access as soon as you are logged in to Jitsi. 5. As soon as the connection is established your status will change to “Online” and you can start a chat. 6. 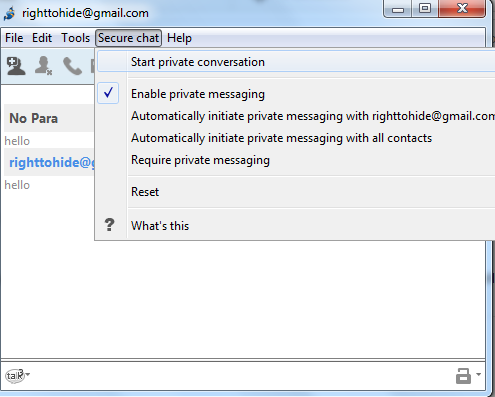 You can start an encrypted chat if your partner also uses an application supporting private messaging by choosing “Secure chat” then “Start private conversation”. Otherwise you can send plain unencrypted messages. 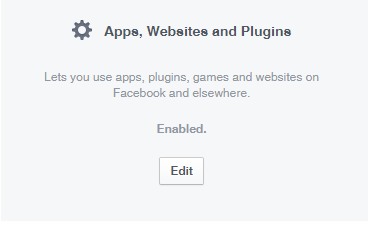 In order to connect your Facebook account, you need to allow access for applications Go to Settings – Apps – Apps, Websites and Plugins to enable access.